The artefacts and stories surrounding the royal household - past and present. TALES FROM THE ROYAL WARDROBE Dr. Lucy Worsley peeks under the robes of Britains Kings and Queens past and present, asking what their chosen garments reveal about their reigns, what message they were trying to project with their selected attire, and how their majesties sartorial choices influenced the fashion of the day. As a fashion-lover herself, Lucy will peel back the layers of monarchs outfits to reveal how fashion has been used by Kings and Queens to reflect their power over the reign. Today as in the past, royal fashion is as much about politics as it is about elegant attire. 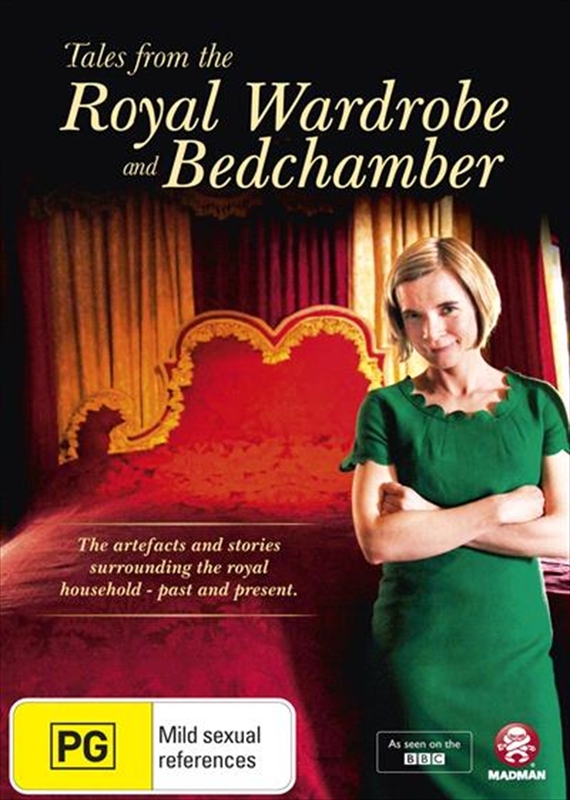 TALES FROM THE ROYAL BEDCHAMBER Dr. Lucy Worsley gets into bed with Britains past monarchs to uncover that our obsession with royal bedrooms, births and succession is nothing new, and in fact, the rise and fall of their magnificent beds reflects the changing fortunes of the monarchy itself. We are treated to a look at the creation of these private chambers, whilst exploring the backstairs politics which developed as a result, and the creation of highly influential serving positions such as Necessary Woman and Groom of the Stool. Lucy also examines the increasingly lavish design of Royal State beds and the huge expense which went into them - most which were never even slept in.